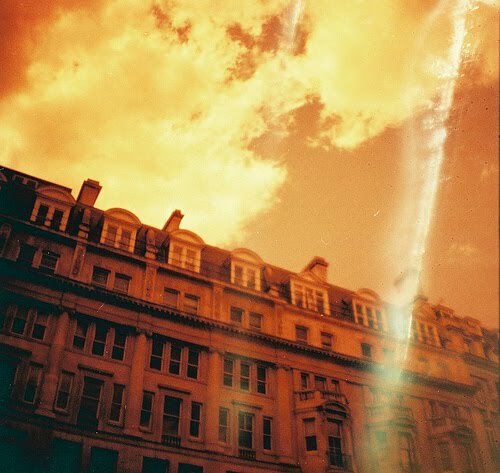 I got some of my pictures back this week from my film cameras, with some interesting results. Recently I've been using my Fisheye camera and my cute little Diana Mini. I picked also up a really cheap flash to use with my lomo cameras, so I've been able to take some pictures indoors too. 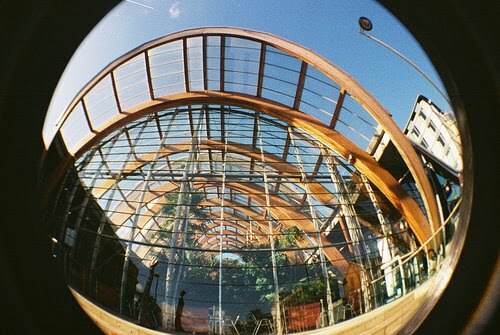 First off these, these are from the Fisheye. It can take a picture covering almost 180degrees. I thought it might come out as a circle but I think this lens might have been made for 120 film, so as there's less room on 35mm part of it is cut off. I love how it bends things to fit them in. For this one I made a DIY filter with red acetate from the stationery shop. It's not a very subtle effect! But I think it looks cool here, like a 70's sci fi film. Another thing I wanted to try was light painting. 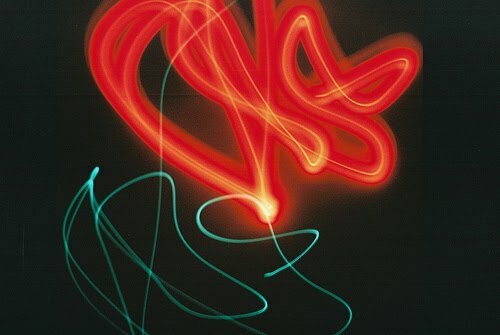 For this you set the camera to 'bulb' then hold the shutter open for as long as you like. I moved the camera around randomly and this is what happened! This effect was a bit more hassle. 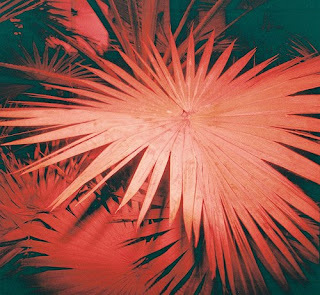 It's called 'redscale' and is achieved by shooting through the back of the film. In a very dark room under a dark cloth I cut off a large chunk of film and taped it back on the wrong way round. You could do some of this stuff in photoshop, but it's great fun not knowing what is going to turn up on your film. I love the last photo. It reminds me of walking by the river in Besançon, France. Very beautiful! like the ferris wheel fisheye photo! Your photos loook very nice. I especially like the last one! I love the red scale picture. It makes me think of Edwardian ladies and gents, in their finery, meeting on the plaza for an evening stroll. Lovely photos. I think the effects are stunning! 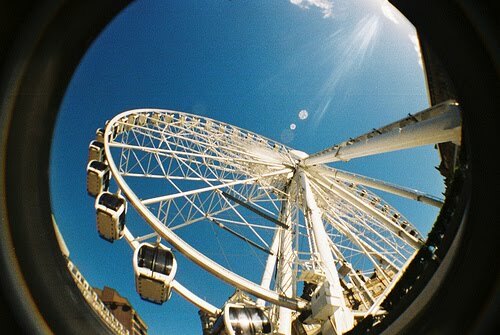 I really like the fish eye pictures they look so cool. Thank you for all your creative thinking!